The Law Office of Kevin Bessant & Associates Detroit understands the turmoil that a person endures while staying in jail for weeks and months at a time while waiting for their bond hearing and criminal case to be resolved. We also understand the burden this places on their loved ones who may find financial and legal difficulties in their efforts to seek a bond by themselves. If you have been charged with a Misdemeanor or Felony charge in Wayne County, Oakland County, Macomb County, Monroe County, Livingston County, or Washtenaw County, and need an experienced lawyer to reduce your bond or address your bond conditions, please call our office immediatley so we can help you today! All persons who have been accused and charged with a crime is entitled to a reasonable bond set by the Judge or Magistrate during a Hearing. Kevin Bessant acts swiftly and aggressively to ensure that a person accused of a misdemeanor or felony offense is given a fair bond before the court. Call the Law Office of Kevin Bessant & Associates before you call a bails bondsman so I can possibly save you the unnecessary expenses of paying a bondsman. If you or a loved one has been accused of a crime, do not delay in calling Kevin Bessant to represent them at their hearing to help keep them out of jail. During the hearing, the Judge or Magistrate will evaluate a number of factors to determine if the accused will be granted a bond, and if so, what and how much that bond will be. 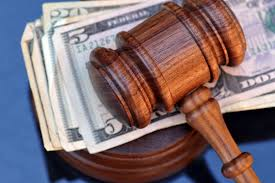 This is a critical stage in which legal representation is a must as it can often determine the difference between the accused staying in jail or going home free on bond.